We appreciate your interest in becoming a Pro Staff ambassador for Sure-Shot Game Calls! • Pro Staff are eligible for a discount up to 60% on Sure-Shot products for personal use. • Represent Sure-Shot in a positive, professional manner. • Contribute photo/video content of calls being used as well as apparel being used afield. • Post reviews of our products across our website and all online dealer sites. • Share special promotions on all social media platforms. • Tag Sure-Shot in hunting related posts to social media. • Understand the legacy as well as history of the company. • Communicate with Pro Staff manager weekly during hunting season. • Keep social media posts clean, meaning don’t post pictures of alcohol or anything in that manner. 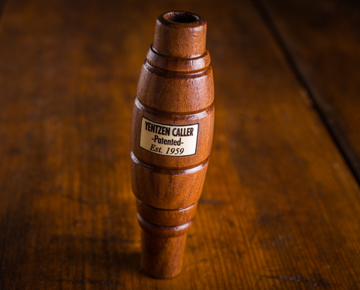 We greatly appreciate your interest in Sure-Shot Game Calls and will be in touch shortly after the applications are completed and reviewed. In the mean time head over to our website to learn about our company’s rich waterfowl history as well as familiarize yourself with our products. Have you been convicted of a game violation? How do you feel you can contribute as a Sure-Shot Pro Staff? What is the history of the Yentzen Classic? What other companies are you currently affiliated with? Tell us about yourself and your hunting experience. After submission our team will review your application and get in touch with you in a timely manner. At Sure-Shot Game Calls were looking for outstanding individuals to represent our brand in a professional, positive manner while hunting or with friends.